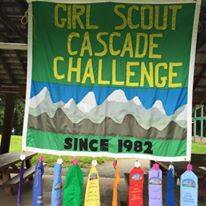 Cascade Challenge is a primitive outdoor camping competition weekend for Cadette and Senior/Ambassador Girl Scouts. Come as a troop or form your own Cascade Challenge group*. Arrive Friday afternoon to set up camp, relax, and maybe mingle with other troops around the campfire. All challenges will take place on Saturday, where girls will be evaluated on teamwork, leadership skills, and combined knowledge in the preselected skill areas. Challenges are completed without ‘help’ from leaders during the events. Saturday night includes Challenge Dinner followed by a roaring lakeside campfire with songs, skits, and good old fun. cooking all their own meals. Water, firewood, and outhouses are provided for you. *If your Girl Scout troop doesn’t want to go, or doesn’t have enough interest, get together with another troop or form a group just for this weekend! It only takes 2 scouts and 2 advisors to be a group. Also, Individual Registered Members (IRMs) may sign up, they need to be placed with a troop or form their own group, ahead of time. Adult Volunteers Needed: We need MANY FABULOUS, FUN, volunteers to be our judges for the event: come for the weekend, come for just Saturday, or come and judge dinner only. See our Judge section for more information. 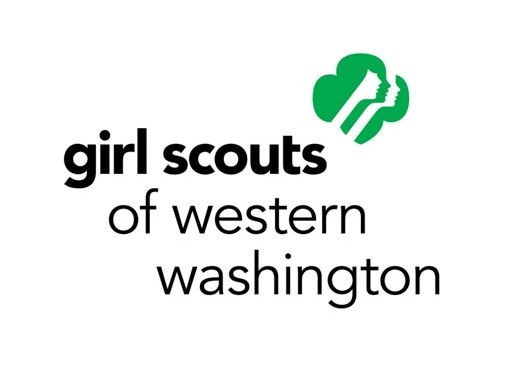 This Friday to Sunday camping opportunity is brought to you by a committee of dedicated volunteers and hosted by Girl Scouts of Western Washington Service Unit 245.